When speaking with Adam Mayer recently, he told me of a conference he attended that featured a very interesting Dutch author, Michiel Hulshof. Adam offered to introduce us and I met Michiel at the Hemp House alongside the river. We spoke for a while and he told me about his two-year journey to 16 cities in Central and Western China to collect data, draw some conclusions China’s development and write a book about what he found out. I asked if he would be willing to be interviewed for Chengdu Living and he agreed. Here’s how it went. 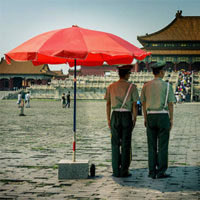 ChengduLiving: For those who don’t know you, who are you? 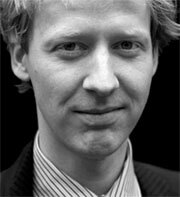 Michiel Hulshof: I am Michiel, I’ve been working as a China correspondent for four years now living in Shanghai. The last 2.5 years I’ve been mainly focused on describing cities in central and western China, which are developing much faster than cities on the east coast. And these are probably the most interesting places in China at the moment. 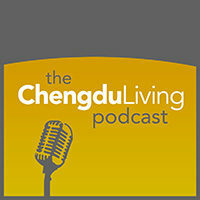 ChengduLiving: You came to Chengdu to participate in an event in Chengdu, tell me about that. Michiel: Yeah, the Chengdu Biennale. We presented our new book there, and the way we did that was to try to bring together the culture scene. So we invited architects, artists, journalists, curators and gallery owners to come together and discuss the way that Chengdu should promote it’s culture. ChengduLiving: What’s your book about? Michiel: What we did was visit 16 cities in central and western China and describe what’s happening there. So not only how the cities have in a physical sense but also how life in these cities is changing and how lives are changing, and what the consequences of that are. This story is told with words and photographs. ChengduLiving: What inspired you to write this book in particular? Had you traveled around western China before this? Michiel: No, not at all. It was like this: four years ago I came to China and like many journalists, got started learning Chinese and writing about China. Most journalists write about the east coast: what’s going on in Shanghai, Beijing, the Pearl River Delta, etc. So I noticed that there enough journalists doing that and decided that I’d do something else. I met an architect in Shanghai, Daan, and we started to talk about this. I said: I want to do something different than what already exists – I want to know what else is going on in this country. So it was logical for both of us, because he’s an architect and I’m a journalist, to focus on cities. We started to say, what are the other cities in China that we hadn’t been to? ChengduLiving: So you co-authored the book? Michiel: It worked like this: Dan is a very good photographer and I’m a writer. So in the end, we both wrote the book because we sat together and both took pictures. But I had the final say over the text and he had final say over the pictures, which worked well. The reason we did these cities is because we found all these enormous cities that we hadn’t heard of: Chongqing, Zhengzhou, Shijiazhuang, etc. We didn’t know them and when you look up the number of inhabitants it’s all 6 million, 12 million, and in the case of Chongqing, 30 million. So what’s going on with these cities, how are they developing? When you look at the numbers you can see that they’re booming but we wanted to know what’s really going on. ChengduLiving: Right. Is there a body of literature available on this topic? Is it on the internet, or are there books published? Michiel: In books, very little I would say. Actually all the books by foreign correspondents in China are about what’s going on in China in general, so what’s going on in the Communist party, what’s going on with the elite, etc. But they rarely focus only on what’s going on in the part of China that isn’t Shanghai or Beijing. You have some books that describe Xiamen, but that’s also on the coast. So that’s the journalistic part. If you look at the architecture part there are some books about Chinese urbanism. These books are also mainly focused on the development of cities on the coast. So there’s very little literature about cities in central and western China. I don’t know, maybe you know more than me. ChengduLiving: Probably not. I’m guessing not. Michiel: Blogs, also. A good source of information for us was Wikitravel, which was really helpful. If we want to find a local bar in one of these cities, we find that online. All these cities have been focusing on physical growth, in a way that you don’t see anywhere outside of China. ChengduLiving: After spending years working on this and collecting information, how would you describe the summary, if there were one? Michiel: The main thing is that all these cities have been focusing on physical growth, in a way that you don’t see anywhere outside of China. Planning enormous new districts, enormous new museums, big infrastructure, high speed railways between cities, all physical things. Up to 30% of cities population work in the construction sector. It’s all very physical growth. And I think that now at this moment these cities already look like modern cities. If you look at the skylines, you look at the buildings. What makes them different from cities in Europe or the States, is what’s happening inside these buildings. The focus is going to change from physical growth to the growth of cultural life. Good universities, better quality of air and water, reducing pollution. Focusing on non-physical growth. Officials in these cities know that they have to do this. Otherwise, people are going to protest. As they accumulate wealth, they start to care more about the quality of education, quality of the air, quality of life. Quality of cultural life. The government, because of the political system in China, is struggling with this. That means limiting some economic freedoms and giving other freedoms: thought, art, expression. It’s difficult for them, but they have to, it’s the only way. So Chengdu just opened the gigantic East Music Park. It’s enormous and they completely copied an industrial district in Germany – one that lost it’s factories and transformed into a cultural district. So they copied that and it looks fantastic but now the question is: will they manage to create a successful cultural district? That is going to be the most difficult task for them. Government tries to do it top down, so they say: we want a cultural district. But in the end the only to achieve that is to go bottom up. All the individuals who are painters, or musicians – creators, they will need to fill these districts. And the only way to do that is to give them the freedom to do that. There’s no other solution, so I’m quite optimistic about that. ChengduLiving: Your optimism is great to hear considering the lengths you’ve gone through to reach a conclusion. How would you summarize Chengdu? How did it compare to other cities of a similar size? Michiel: Everybody’s always talking about the relaxed atmosphere. I don’t know if it’s a self-fulfilling prophecy, but it’s certainly true (laughs). It’s one of the more relaxed cities, it doesn’t have the crazy chaos of Chongqing, which makes it a much more livable city. Also I have a feeling that the cultural life is more developed than in other cities we visited. Apart from Chengdu maybe only Wuhan has a cultural life that is sort of developed and interesting. Especially the music scene. But most of the other cities are really struggling with it. In Chengdu you can already see that people are longing for more culture. I was surprised by the number of people that came to the new music park. Because they didn’t know what to expect, they only knew that it was going to be a cultural venue. Their longing for these kind of things means that there’s a big market for that. ChengduLiving: How can people get your book? GoWestProject.com is the project that I setup with Daan, the architect. On that site you will find stories from all the cities we visited and information on how to order the book. Apart from writing the book we also do presentations and organize events, so you’ll find information on that there also. The book is on Amazon too. ChengduLiving: Thanks, looking forward to reading your book! Sounds like a good read. There’s for sure a wealth of information available on the major cities, but for anyone looking for information on rural China in non-Chinese language texts, the task quickly becomes difficult. It’s good to see that someone is making an effort to remedy this. There will never be a well-rounded Western understanding of China until people begin to leave the major city centers on the east coast and get into some of the lesser known communities around the country. I think he’s definitely on point when it comes to bringing culture into the city. Plenty of examples of ‘Top Down’ thinking, with a host of future venues underway that must seem like a good idea to some. When we end up with cavernous empty spaces/areas over the next few years, there’ll be some head scratching in the halls. Great interview, and I cannot recommend Hulshof and Roggeveen’s book enough. 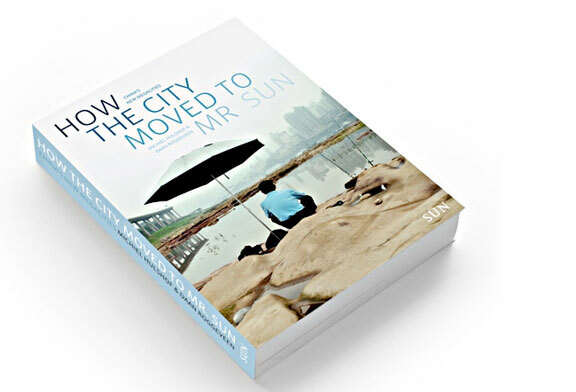 While the dialogue about China’s urbanization tends to focus on the quantitative economics and demographic statistics and the qualitative only in the two big cities Beijing and Shanghai, ‘How the City Moved to Mr. Sun’ goes above and beyond with great background and narratives of China’s lesser-known (albeit increasingly important) cities on the interior. For anyone interested in the next stage of China’s urbanization process it is a must-read.